Is your lipstick collection taking over? Then why not consider condensing your collection into a personalised lipstick palette. It’s slimline, travel friendly and completely unique to you! 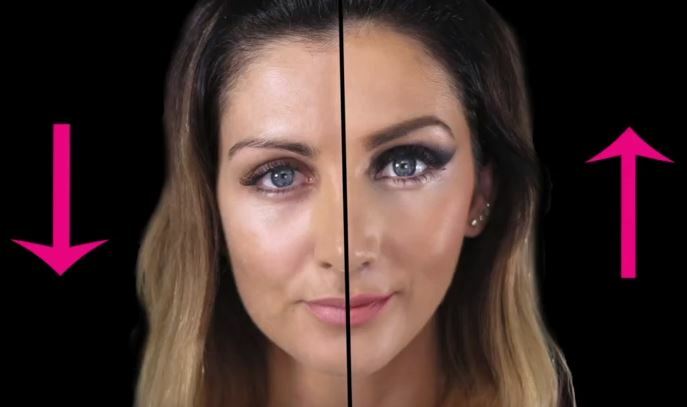 Follow the simple steps below and you’ll be mixing up your lip look in no time! 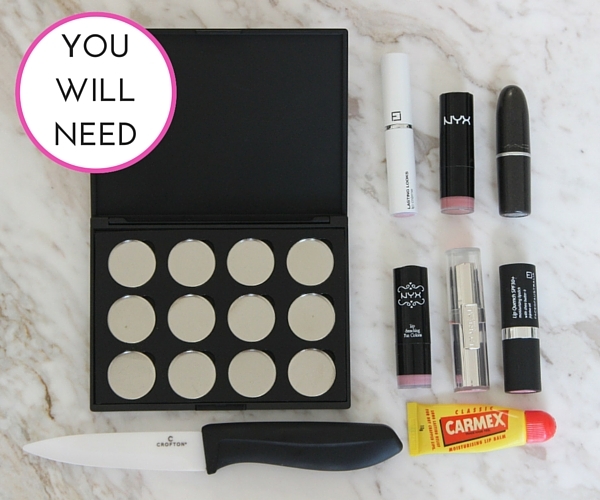 One by one, add your selected lipsticks into the empty makeup palette by slicing the lipstick into rounds with the knife. Be sure not to cut off too much lipstick as you don’t want the pan to overflow. Start by slicing 1/4 of the lipstick into 3 or 4 rounds, you can always add more if necessary. Do you have a favourite nourishing lip balm? Why not add that in too? Once your palette is filled with your desired lipsticks you will need a good lipstick brush for application. An added benefit of applying your lipstick with a brush will create a more defined look. For long lasting colour apply your lipstick with your brush, blot the excess on a tissue and then reapply another thin layer. 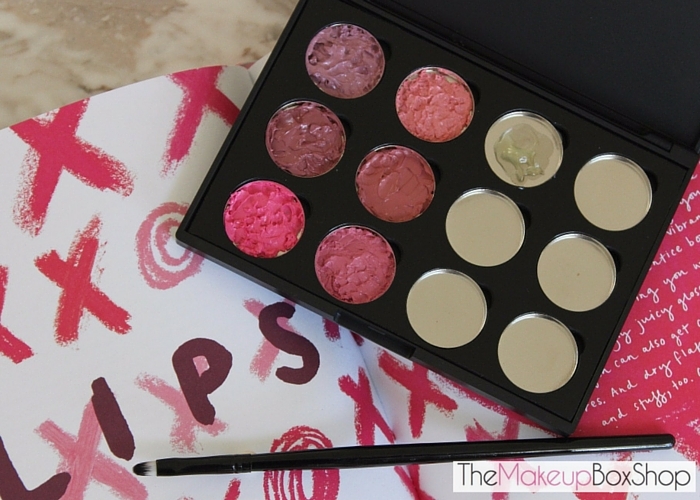 Why not get creative and create your perfect lip colour by mixing and matching colours from your new palette? Now you have just doubled your collection, what’s not to love about that?